Developing new markets to offer our all-in-one beverage solutions has brought us to Dubai, the centre of innovation and numerous opportunities. 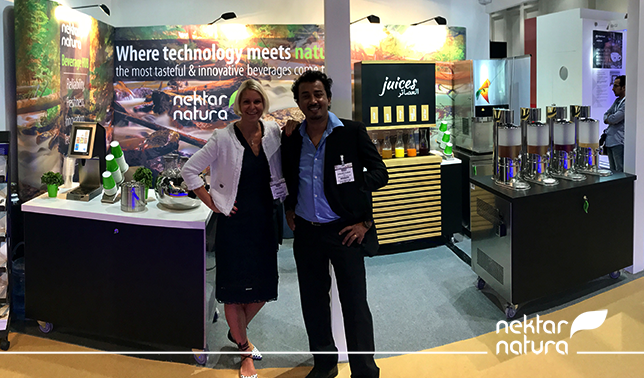 These days we were presenting fresh fruit and vegetable drinks along with world’s most advanced and innovative dispensing machines at one of the biggest events in the hospitality sector. At Gulf Host 2017, our visitors had got a great chance to dispense and taste our finest drinks and hear about our personalised approach to the partnership we are offering to our satisfied customers from hospitality sector. Being able to present our products and services at one of the most demanding, but also rewarding markets, enabled us to get great first-hand feedback about our drinks and dispensing machines, as well as build a network of strong connections with potential local partners.